The GoPro HD HERO cameras are innovative action-cameras that are the world leader in extreme-sports video and still photography. The HERO series of cameras are light-weight and durable camera equipments that are used to capture high-definition videosThe GoPro HD HERO cameras are innovative action-cameras that are the world leader in extreme-sports video and still photography. and most often used in extreme-action videography as well as part of the connected sports movement. GoPro cameras are mainly used in extreme-sports video and still image capturing as well as in making films. GoPro products have increasing popularity due to their innovative and convenient design, their durability, easy-to-use-features, versatility of the camera, the various types of camera mounts available as well as the affordable cost at which the products are sold. The advanced features and affordability make GoPro cameras the preferred choice of professional, as well as amateur, extreme sports enthusiasts who wish to capture their adventures first-hand with a POV (point of view) angle and at the highest quality of definition and clarity of the footage and images. 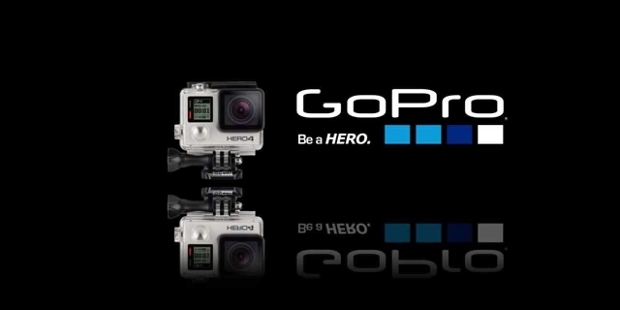 GoPro Inc was started when the founder, Nicholas Woodman, went for a surfing trip to Indonesia and Australia. When he was unable to use the bulky camera he had to capture images and videos of him surfing, Nicholas decided to do something about it. He started raising capital for his venture by selling belts and fashionable camera straps made from shells and beads out of his Volkswagen van. He also took a loan of around $230,000 from his parents to start his camera manufacturing company and started Woodman Labs in 2002. In 2004, GoPro (renamed later) sold its first camera system that consisted of 35 mm film and soon introduced digital still and video camera equipments. Since its inception as a small camera manufacturer for a niche market, GoPro has come a long way towards success. It was initially started with a loan of around $230,000, the company went on to acquire CineForm in March of 2011, in order to get the CineForm 444 video codec for its considerably faster and more convenient HD and 3D video editing function. In June of 2014, GoPro went public and with around 17.8 million shares selling for $21 to $24 each managed to get a total investment of around $427.2 million. At the price of the IPO the company’s net worth was estimated to be around $2.95 billion. GoPro products are versatile and innovative and still being affordable to the amateur sports enthusiast. The company is constantly innovating and introducing advanced and new technologies in the action-camera sector giving a tough fight to its competitors. The GoPro HD HERO series of cameras is the company’s strongest selling product with a popularity spanning the whole world for its durability, ease-of-use, advanced features, easy editing and affordability with amateur and professional sportsperson increasingly demanding for it. GoPro is also one of the foremost providers of versatile camera mounts, ranging from suction cups to chest harness as well as being one of the top unique content providing companies online.